Jimmy Covelli is the lead singer of the late band, The Floating Hearts. He now lives a quiet life in California and misses his life as a young heart throb. Since he's gotten older, he's gained some gray hairs, some extra poundage and an ever increasing frown. Things were much better when he could get any woman he wanted, and men envied him because of it. Life has just gotten too boring. Not for long though, because Detective John Vintoni has traveled all the way from Nassau County, New York to question Covelli about a case that was closed nearly 20 years ago. A young fan of Covelli's, Connie Calabrese, was brutally murdered the night of one of his famous concerts at the Green Garden Coliseum, and Jimmy Covelli is the only viable suspect. Miranda Madison is newly divorced and out to hunt down the man she truly loves. She's been a fan of Jimmy Covelli's since she was a young girl, and her obsession for him has only grown stronger over the years. With her late husband, David, out of the way, she can put in extra time hunting down Covelli. Will fate bring them together, or tear their lives apart? You'll have to find out by reading He Who Sings Last. First of all, I'd like to thank the author of this novel, Lisa Laird DiRosso, for giving me the opportunity to read and review this book. It was quite different than the average mystery novel. I was expecting to read about murders from the victims point of view, and not only did I get that, but I got a whole lot more. He Who Sings Last is a first hand look on what goes through the mind of not only the victim, but every party involved in a horrific crime. It really makes you think, and I liked that about this novel. It also makes you wonder whether or not the life of a celebrity is really all that it's cracked up to be. Who knows, your favorite celebrity may be a murderer, or not, but it is a possibility, and that was the message I recieved from this book. DiRosso gives each of her characters a backround history that will have you guessing what their next move will be throughout the whole novel. I would recommend this book to people that enjoy reading mysteries, detective novels, and even true crime, although it is fiction. I look forward to reading any upcoming novels written by this new author, and am hoping there will be a sequel to He Who Sings Last, as it ends with a cliffhanger, and I must know what happens to the characters. Read my Interview with author, Lisa Laird DiRosso here. 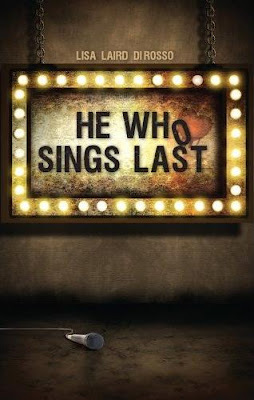 Order your copy of He Who Sings Last by Lisa Laird DiRosso at Amazon.com. Oh, that sounds so good! I like the storyline idea, it's different from what I've read in the mystery genre - and that cover is stunning! Very dark and mysterious. I think it might be my type of mystery. This sounds like a great story! Who hasn't ever wondered about being with their "idol"! Of course sometimes people get a little carried away. I really like the cover too! Thanks for a great review Jenni! This is definitely going on my TBR list! 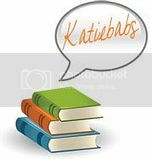 Thank you all for stopping by to read my review :) I hate to write them and then no one even looks, lol. (Well they might look, I just like comments showing their trail! ).